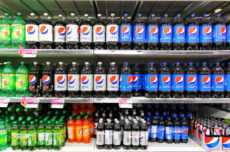 Berkeley’s soda tax is being trumpeted as a success because a new study finds that purchases of sugary soft drinks fell by 10 percent in the city from March 2015 to February 2016. Of course, soda-tax advocates claim that the penny-per-ounce excise tax, which took effect in 2015, is fully responsible for the drop. We could make many criticisms of the study and the tax advocates’ use of it, but more fundamentally, it’s wrong to think that bludgeoning (not just “nudging”) people with taxes is the best way to improve their diets. Those who are worried about soda’s health effects have identified a real problem—sugary beverages are not good for you—but they’ve yet to find a solution consistent with the principles of liberty. Economic theory and empirical research suggest instead that health can best be promoted by removing the barriers to wealth creation in low-income communities, which are plagued by obesity, Type II diabetes, and tooth decay. Put simply, richer people eat better and have more time to exercise than poorer people. Recent economic research shows that selectively taxing products that elites disapprove of exacerbates income inequality because such levies burden people living in poverty more than others. That is, the soda tax makes the folks it is meant to help worse off economically, and fails to encourage healthy dietary habits because the effects of selective taxes on consumption are tiny. The better path to health, then, is individual economic empowerment, which increases the wealth of low-income people, rather than singling out and punishing the consumers of one class of goods. Instead of making bad habits more expensive, policymakers should remove the many barriers that keep poor people poor. One of those barriers, occupational licensing, may be intended to protect consumers from shoddy services, but it bars entry into many jobs that serve customers in poor communities, blocking the first steps to prosperity for individuals who sorely need it. Trying to change poor people’s behavior by raising prices through “sin” taxes won’t bring about the results that soda-tax advocates want to see. In fact, the history of other sin taxes shows that people find ways around the barriers between themselves and their vices. Prohibition in the 1920s was a boon to moonshiners, and cigarette taxes in New York today are equally a dream come true for cigarette smugglers. Soda taxes elicit similar changes in behavior. The new Berkeley study shows that, while soda sales fell by 10 percent in Berkeley, they rose by almost 7 percent outside the city. So soda taxes are unlikely to deliver the health benefits their supporters promised. The increase in sales outside the city is consistent with a wealth of peer-reviewed economic research showing that individuals shop across borders to avoid taxes. Until policymakers and health advocates realize that the people they want to help aren’t mere chess pieces to be moved around on the board at will, but rather are autonomous, thinking individuals whose choices deserve respect, failed policies—with all their unintended consequences—will persist. Instead of being enamored with their own brilliant plans, policymakers should get out of the way of individuals who are trying to improve their lives. Good health will follow. William F. Shughart II is Research Director at the Independent Institute, J. Fish Smith Professor in Public Choice at Utah State University’s Huntsman School of Business, and editor of the Independent book, Taxing Choice: The Predatory Politics of Fiscal Discrimination. Josh T. Smith is a master’s student in economics at Utah State University.